Dr. Dennis Gross Skincare Partners with Bisous For Léo to raise awareness for INAD. NEW YORK, March 20, 2019 /PRNewswire/ -- Dr. Dennis Gross Skincare announces its important partnership with Bisous For Léo, continuing its goal to positively impact families and communities through philanthropic efforts. Through this partnership, Dr. Dennis Gross Skincare seeks to expand awareness of Infantile Neuroaxonal Dystrophy (INAD), a rare genetic disease affecting children. This devastating disease results in the loss of mental, cognitive and physical abilities as seen in Alzheimer's and Parkinson's, causing premature death usually before the age of ten. Léo Vauclare appeared to be like any other healthy child until he was 18-months-old when INAD’s first signs manifested in Léo sudden inability to walk – he couldn’t take more than five steps without falling. Now almost three-years-old, Léo no longer walks or talks and is regressing rapidly. He is enrolled as the first patient in the first ever INAD-focused clinical trial. Bisous For Léo – "kisses for Léo" in French – is a vital organization that raises funds to benefit the INADcure Foundation, the only U.S.-based nonprofit dedicated to the INAD community. Léo's parents Deborah and Antoine founded Bisous For Léo after learning of Léo's diagnosis with INAD at just two-years-old. 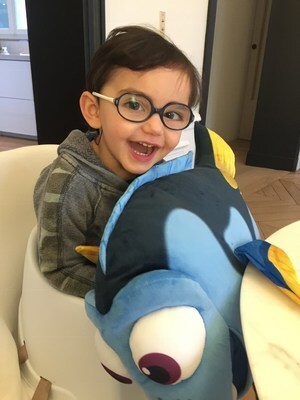 Bisous For Léo needs an initial $500,000 to fund research and development in gene therapy. With help from partners and individual donations made to Bisous for Léo, they inch closer to finding a cure. The need for funding is urgent as the progression of INAD is rapid after the initial onset of symptoms. Léo appeared to be like any other healthy child until he was 18-months-old when INAD's first signs manifested in Léo sudden inability to walk – he couldn't take more than five steps without falling. Now almost three-years-old, Léo no longer walks or talks and is regressing rapidly. He is enrolled as the first patient in the first ever INAD-focused clinical trial. However it's not a cure, which is what Léo so desperately needs. "Léo's story touched me on so many levels," Dr. Dennis Gross Skincare CEO Carrie Gross says. "His parents Deborah and Antoine are brave and full of so much love and conviction – I don't know how they stay so strong. Watching them bring this cause to a global scale inspired me tremendously. As a mother myself, I knew we had to join the cause." 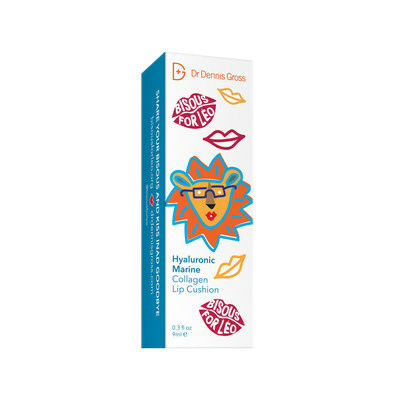 In honor of the new partnership, Dr. Dennis Gross Skincare made a generous donation to the organization and is releasing limited edition packaging of the Hyaluronic Marine Collagen Lip Cushion to raise awareness and support for the foundation. The packaging features a lion wearing blue glasses, just like Léo's, alongside the charity's logo, encouraging people to send Léo kisses by posting on social media to raise funding for treatment and a cure. "To say I'm grateful for Dr. Dennis Gross and his team's support of Bisous For Léo is an understatement," said Léo's mom Deborah Vauclare. "INAD is a rare disease, but its importance regarding the greater medical impact and understanding it can potentially have for treatment and cure options for similar diseases such as Parkinson's and Alzheimer's cannot be overstated. The fact that Dr. Gross and his team recognize that and support our mission means the world." For more information and to donate, please visit the homepage for Bisous For Léo.